There aren’t many days during the week that I get to enjoy a leisurely shower. In fact, I’d say it’s a very rare occasion these days thanks to three little visitors…which means I have to bathe quickly. That being said, I have next to no time for shaving. The lathering of the shaving cream, going over the same spot with a crappy two blade woman’s razor…I mean honestly, who has time for that? Not this mom! I’ve been using the Schick Intuition razor for a week now and it has seriously simplified my shower time. It’s razor system lathers, shaves and moisturizes in one easy step, gone are the days that you need to use shaving cream! The best part? It’s 4-blade pivoting head that is surrounded by a Skin Conditioning Solid allowing you to get the perfect shave the FIRST time. My legs were so silky smooth after, I didn’t even need to moisturize. I truly love sharing reviews about products that really work and make my life easier and this one is honestly one of my favourites. 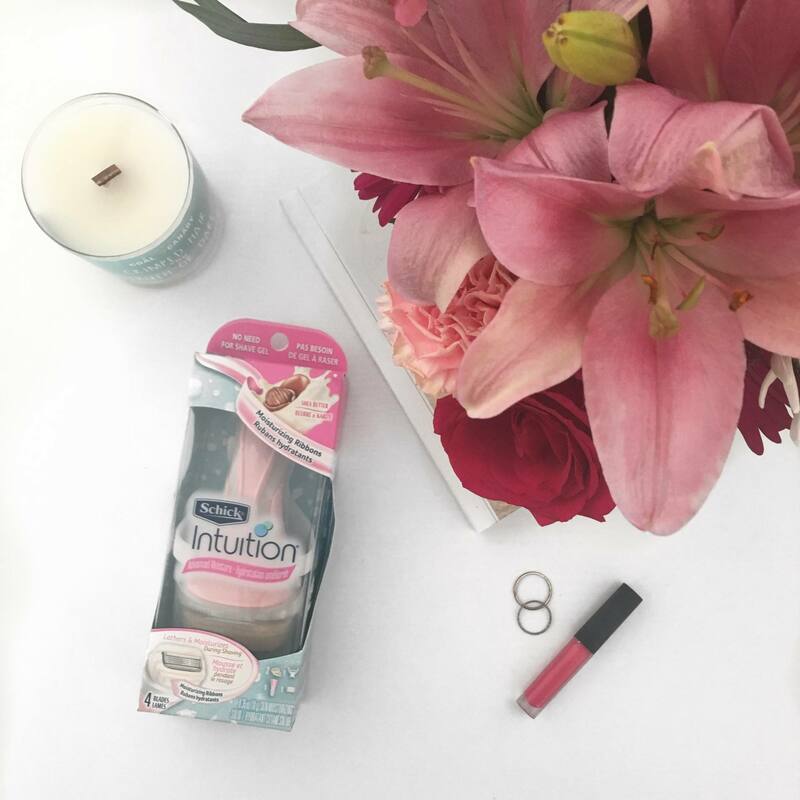 If you haven’t tried the Schick Intuition razor yet then I’m excited to share that I will be giving 25 of you the opportunity to receive the product for free and also be entered to win a $100 prepaid gift card from me for taking part in the program! Disclaimer: This program is only open to age of majority residents of Canada (excluding Quebec). To participate, you must have purchased an item on Amazon.ca within the last six months prior to the contest start date. There are other blogs running this program however you are only able to participate once. All participants will receive a Schick® Intuition® razor as featured in this post. Winners will be chosen Sept 26 and their razors will be sent out the week of Oct 17. Winners reviews must be posted between October 24 – Nov 7 to be entered to win the $100 prepaid gift card. See full Rules HERE. To enter, simply comment below and let me know why you’d like to take part in the program and confirm that you have an Amazon.ca account. Good luck! I’d like to participate. I am currently on maternity leave with my second child and have a 2 year old also. I’d love a quicker way to keep my legs under control as shower time is priceless! I do have an amazon account. I’d love to try it, Renee! Four blades about about damn time too. I often use hubby’s triple blade razor because it’s so much better than mine. And yes I’ve got an amazon.ca account. Waiting for a shipment this week! I would love to try this Renee!!! And I have an active Amazon account 😉 Thank you so much! Would love to participate and have an active account with Amazon. Thanks! I would love to try this! 4 blades sound awesome. And yes I have an Amazon account. I love to try this razor. I usually use a no name plain-Jane razor. This 4 blade, pivoting head one sounds amazing. Thanks. And yes, I have an Amazon account, just purchased a couple of weeks ago. Sounds wonderful! I have an active Amazon acct, too! My daughter and I would love to try and I have and active Amazon account. Interested! Sounds awesome, I have an Amazon account! I am always looking for a good razor and would love to try this one out! I have amazon! Anything that provides a close clean shave is what i need! I do have amazon account. I would love to participate! Would love to see how much time I save in the shower. , smooth legs yes please! Would love to try out this razor as I’m always looking for a nicer shave! I have an active amazon account and would love to review it! I’d love to try this razor because my legs are always so dry after shaving and I don’t always have time to moisturize because I’m usually jumping out of the shower to deal with my screamy infant. I do have an Amazon account. 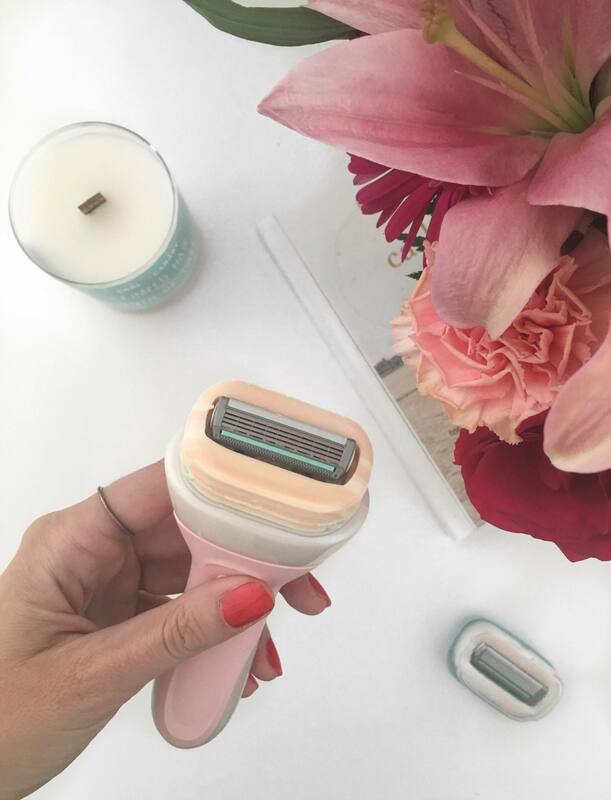 Although shaving season is almost over…I love the feel of nice smooth legs all year! Would love to try it. Also have Amazon account! I’ve been suing a lousy razor lately and I’d love to try a different brand. And I have an Amazon account. Would love to cut down my shaving time, which this razor sounds like it will do! I would love to try it out! I have an active Amazon account.